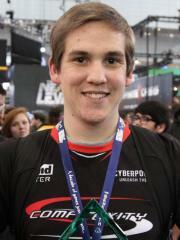 Tyler "Teepee" Polchow is an American competitive Call of Duty player. At present, Teepee is ranked #409 in highest overall earnings, and #74 in highest earnings for players from United States. Out of the 63 tournaments awarding cash prizes that Teepee had competed in, the largest amount was $100,000.00 from Call of Duty Championship 2014 on March 30, 2014. His 1st place finish makes up 42.52% of his total prize money won. Teepee overtook the $100,000 milestone on March 30, 2014, winning $100,000.00 and placing 1st at Call of Duty Championship 2014. Prize money from 30 tournaments got him to that point. In the last 90 days, Teepee has won $4,475.00 in cash prizes from a single tournament, none of which came in the last month. Teepee has contributed to the competitive scene of the following games outside of competing in tournaments.